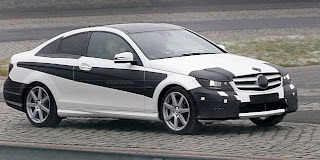 Mercedes-Benz of Lynnwood Blog: Mercedes-Benz of Lynnwood: The 2012 C-Class Coupe Is Looking Good! Mercedes-Benz of Lynnwood: The 2012 C-Class Coupe Is Looking Good! These are some of the best spy shots we've seen for the new Mercedes-Benz C-Class Coupe! 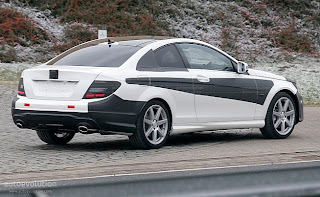 While the front and back ends show many similarities to the C-Class sedan, rest of the body shows sleek coupe lines. We're still waiting on the final word for what's going to happen under the hood, but the best guesses are a four and six-cylinder engine--and possibly a new, lower price.